U.P. (Unbeaten Path) and U.P.P.E.R. 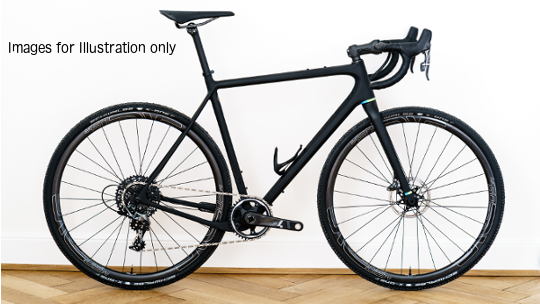 combine a performance-oriented cross/road geometry & parts with clearance for mountain bike tyres. So you can ride anywhere, and ride fast. Get out of town on asphalt, hit the gravel roads or switch to singletrack. The geometry gets you there fast; the big tyres make you unstoppable. The U.P. fits mountain bike tires up to 2.1” wide. But you can also fit a 40mm cross tyre, or a 28mm road tyre, or anything else in-between (exact tire sizes depend on manufacturing tolerances and rim width, so this is a guideline. Always make sure you have 6mm clearance between tyre and frame). “100% hi-modulus carbon”, “aerospace grade”, etc. Useless – and hopefully false (we’ll get to that) – claims meant to impress you. It’s not about high- or low-modulus, it’s about the right carbon in the right spot. And because the bike industry loves techie-sounding abbreviations, we’ll humour them and call it TRCinTRS™. Fact: stiffer carbon is more brittle. Strategically placed ultra-high-modulus carbon is a good idea. 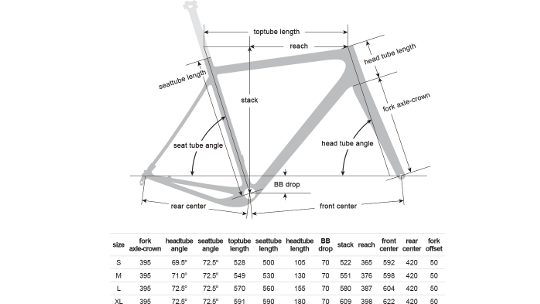 Making the whole headtube out of it when you have big impact loads is not! 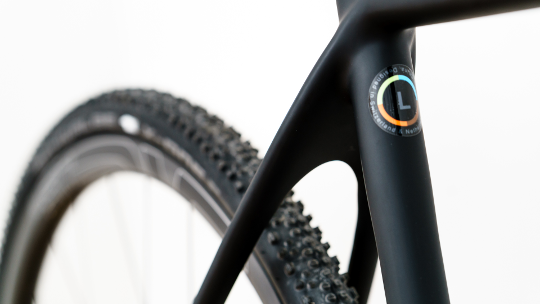 With a minimalist 27.2mm diameter, we maximize the flex in our seatpost & seat tube. This is especially a big plus on rough terrain. The seat tube angle is designed around the use of a straight, zero-setback seatpost rather than a regular seatpost setback (we’ve never understood those). Zero-setback posts are lighter, saving you another 10-30 grams (every little bit helps and you can then put that saved weight into a 500g saddle like the Brooks!). One of the key differences between the U.P. and U.P.P.E.R. is the disc mount standard. The U.P. uses post-mount, whereas the U.P.P.E.R. is designed for flat-mount. Open don't like how the bike industry keeps “inventing” new standards, so we always investigate if they are an improvement before we use them. The U.P. uses the 386 EVO bottom bracket standard. The wide (86mm) BB shell is perfect to attach the dropped drive-side chainstay too. Furthermore, it fits most of the cranks on the market, from Shimano, Campagnolo and SRAM but also smaller brands like THM, Rotor and RaceFace. 386 EVO even allows for the installation of many mountain bike cranks. Chainring fit: NOTE: For single chainring set-ups, OPEN recommend flat rings, not offset rings, for the best chain line. For "regular" oval rings, deduct 2 teeth from the below spec. For extreme oval rings, who knows.